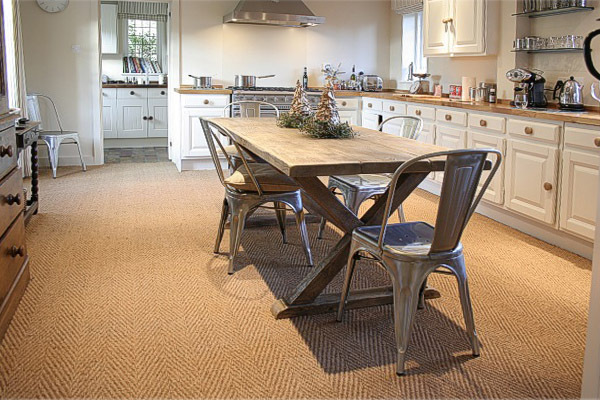 Scrubbed oak kitchen table, pictured here in the kitchen of our clients Surrey country house. 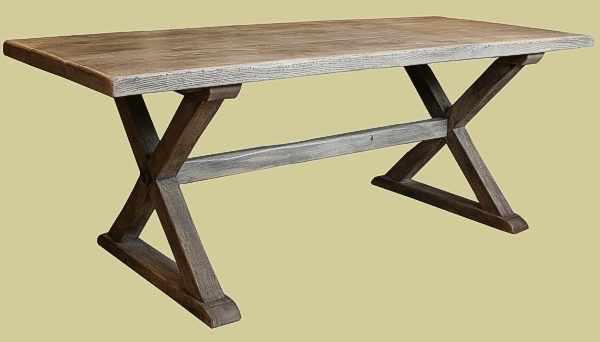 The surface is a coloured 'weathered' finish applied to the table top and X-frame base. This newly introduced finish is available in various colours and we are happy to send samples if required.